Offering you a complete choice of products which include aluminium square tube, aluminum square bar 6061, aluminum hex & square bar, aluminum angles, rectangular aluminum tube and aluminum wires. 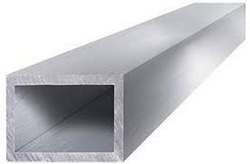 Aluminum Square Tube, is an extruded product that is widely used for all types of fabrication projects where lightweight and corrosion resistance is a primary concern. Aluminum Square Tube has square corners inside and outside, with no weld seam. Available in both 6061-T6 and 6063-T6, with the 6063 being more formable than the 6061. Applications: framework, support columns, gates, fencing, handrails, protective barriers, etc. Aluminum Square Tube is available in alloys 6061-T6 and 6063-T52. Aluminum 6061 is the most widely used alloy, offering better corrosion resistance and weldability than other Aluminum Square Tube, but less strength. Alloy 6063 offers high corrosion resistance and is commonly used for outdoor structural applications such as Aluminum Tube railings and trims. 6061-T6 Aluminium Square Tube 6061-T6 Aluminum Square Tube is the most commonly used aluminum for structural applications. It has above average corrosion resistance, good machinability, and is excellent for welding. 6061 aluminum angle is heat-treatable, resistant to stress cracking and non-magnetic. We are an eminent organization engaged in offering our reliable patrons an unparalleled range of Aluminum Square Bar 6061. Manufactured using the superior-grade raw material to make it capable to take heavy loads and pressure, our offered squares are developed in tandem with the highest benchmarks of quality. Provided with a square transverse sectional shape in our aluminum square, it is required to meet several industrial and mechanical processes. 6061 T-6 is a precipitation hardening aluminum alloy containing magnesium and silicon as its major alloying elements. 6061 has good machinability and good weldability. Typically, after welding, the properties near the weld are those of 6061-0, a loss of strength of around 80%. The material can be re-heat-treated to restore -T4 or -T6 temper for the whole piece. After welding, the material can naturally age and restore some of its strength. 6061 is one of the most common alloys of aluminum for general purpose use. It is commonly used for the construction of aircraft structures, such as wings and fuselages, bicycle frames, boat building and a wide range of automotive parts. 6061 T6 Aluminum is a heat treatable 6000 series aluminum alloy with magnesium and silicon as its main alloying elements. It is one of the most versatile alloys and offers a wide range of mechanical properties. With medium to high strength, good toughness and a good surface finish, it maintains most of the good qualities of aluminum. Welded by all methods and can be furnace brazed. T6 has an ultimate tensile strength of at least 42,000 psi, yield strength of at least 35,000 psi and ultimate shear strength of 27,000 psi. In ¼” thickness, it has an 8% elongation and 10% in thicker sections. 6061 T6 aluminum is commonly used for a wide range of products and applications including fishing reels, truck frames, structural components, machine parts, aircraft and aerospace components, marine fittings, camera lenses, transport, valves, couplings, etc. With the expertise of our professionals in this domain, we are able to bring forth a quality approved range of Aluminium Square and Hex Bar. Widely used in various industrial applications, the square and hex offered by us are available in various sizes, dimensions, specifications, and diameter that can be customized as per the requirements of our customers. Further, our quality controllers test this range on various characteristics to ensure flawlessness. Standard Aluminum Extruded Bars also commonly known as Aluminum Engineering Bars are available in a variety of forms off the shelf. The types of Standard Aluminum Extruded Bars on offer includes; Round bar, Square Bar, Hexagonal Bar, Flat Bar, Channel, and Angle Bars. Traditionally Flat bar, Angle and Channel are stocked in Alloy 6063 T6, whereas Round, Square, and Hex bar are most commonly available in Alloys 6061 T6 and 6082 T6 as this Alloy is known for their excellent machining properties. Euro Steel can offer other alloys and Tempers on request. 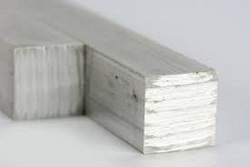 Traditionally standard Aluminum Extrusions are stocked and sold as 3.66-meter lengths. However, we do offer a full cut to length service for Round, Hex and Square bar. 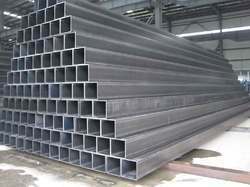 Other Bars such as Channels, Flat Bar and Angles can be extruded to client specific length on request. Please contact us for more detailed information on sizes, density factors used for weight calculations and/or for more exotic standard Aluminium extruded Bars. Aluminium Bar - Round, Flat, Square & Hexagon Aluminium bar available from local stocks for next day delivery. Whether you are looking for a round, flat, square or hexagon bar, we offer a wide range of sizes, alloys & tempers including 6082T6, 2011T3, 6063T6, 6026T9, 2014T6 and 5083F. Imperial Sizes: Available from 3/8" x 1/8" up to 6" x 1"
This alloy presents medium mechanical properties and an excellent resistance to corrosion and good weldability properties. stressed structures such as towers and shafts, carpentry, components for railroad, nautical, defence, aviation means of transport. For cars, extrusions for seat guide, bumpers, ABS parts, and subframe. This alloy has medium mechanical properties, but high resistance to corrosion and excellent weldability. highly stressed structural parts for ground and nautical means of transport, anti-impact lateral bars, door frame, space frame and subframe for cars, hydraulic systems, stairs and scaffoldings, platforms, screws and rivets, particulars for nuclear plants, food industry. Available with us are Aluminum Angles that have wide usage in different industries like Pharmaceutical, Chemical, Food, Agriculture and many more. These aluminum angles are widely demand and are appreciated for their salient features like durable finish standards, withstand high temperature and abrasion resistant. Available in standard sizes, these can also be customized as per the requirements of our valued customers. 6063 is often called architectural aluminum for two reasons - first, it has a surface finish that is far smoother than the other commercially available alloys, and second, its strength is significantly less (roughly half the strength of 6061), making it suited for applications where strength is not the foremost consideration. 6063 is rated as "Good" for forming and cold working operations, "Excellent" for anodizing, and "Fair" for machining. 6061 Aluminum is, by almost any measure, the most commonly used aluminium alloy. It is specified in most any application due to its strength, heat treatability, comparatively easy machining, and weldability. If that were not enough, it is also capable of being anodized, adding a layer of protection for finished parts. The main alloy ingredients of 6061 aluminum are magnesium and silicon. 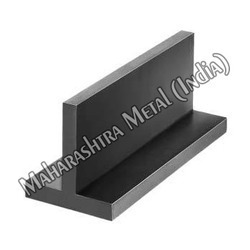 We are engaged in the Supplying of a wide range of Aluminium Angles, which is extensively used for mounting panels, table tops, switches, and assembly of jigs, etc. Our Aluminium Angles are duly tested on quality by our quality controllers before the final dispatch at the clients base. All requests for standard aluminum extrusions are made to order; when ordering, please specify alloy, temper, length, quantity, surface finish, end use and any special instructions regarding dimensional, length, or shipping tolerances, custom packaging, identification or certification. Extruding aluminum is our business and we look forward to meeting your aluminum extrusion needs. Experience with Confidence. Aluminum Rectangle Tube, is an extruded product that is widely used for all types of fabrication projects where lightweight and corrosion resistance is a primary concern. Aluminum Rectangle Tube has square corners inside and outside, with no weld seam. Available in both 6061-T6 and 6063-T52, with the 6063 being more formable than the 6061. 6061-T6 Aluminum Rectangle Tube is frequently found in aircraft construction. Alloy 6061-T6 has a high strength-to-weight ratio. We stock a large selection of aluminum rectangular tubing, including hard to find large press sizes. We feature common alloys such as 6082, 6061 and 6063. Custom sizes, lengths, alloys, and finishes are available. 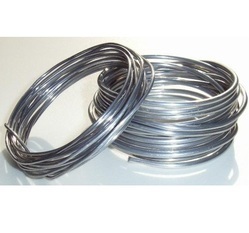 With the help of our dexterous team members, we have been able to offer a comprehensive range of Aluminum Wires. Constructed utilizing optimum-grade raw material with the aid of sophisticated machinery under the guidance of our experts, our wires are available in varied thickness as per clients’ requirement. In order to give flawless range to our clients, these products are stringently tested on various parameters. We are offering to our clients a wide range of Aluminium Tube Round/Aluminum Tube Round that is manufactured using high grade of aluminum. Our organization is reckoned as one of the reliable firms, engaged in offering superior quality Aluminum Tees. Manufactured using high quality lightweight aluminum, these tee fittings are known for their added benefit of re usability. These have unique taper design for easy assembly. To ensure a positive anti-leak seal, these fittings are offered in 37 deg. angled sealing surface. Widely used in different industries, the quality tested range is offered at market leading prices to our customers spread across the globe. 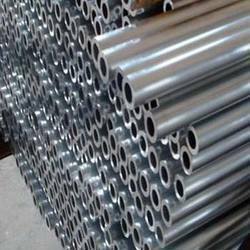 We are major stockist and supplier of aluminum round pipes. These pipes are manufactured using quality raw materials. 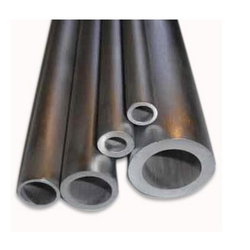 The length of these pipes can be customized as per customers requirement. 6063 T6 / 6082 T6 / 6061 T6.